There is street parking in front of the building, as marked by the yellow rectangle on the map (Click image to magnify). 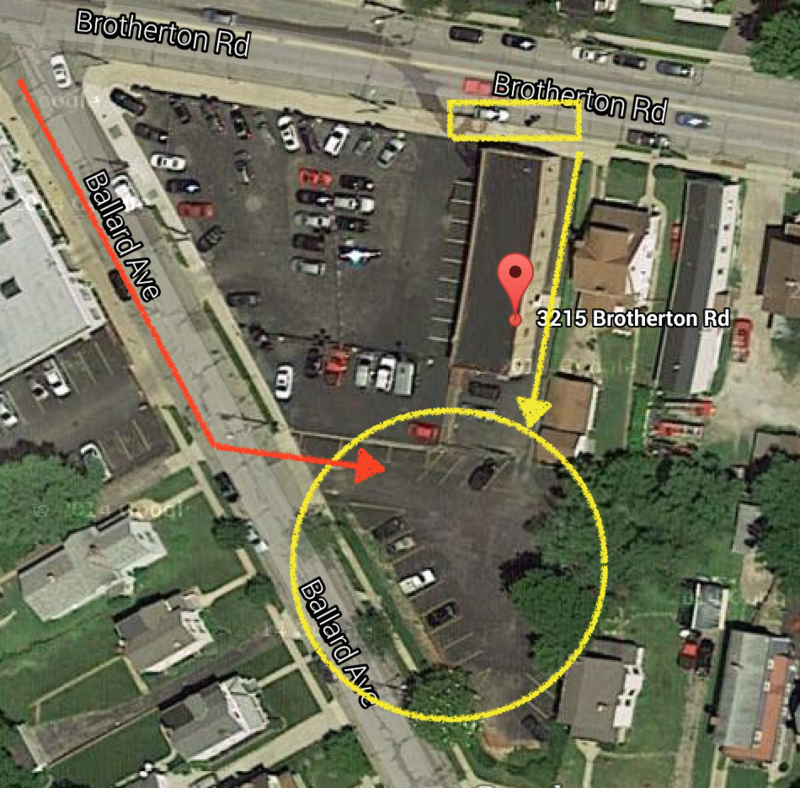 There is also a parking lot behind the building that is accessed via the driveway off Brotherton Rd (marked by the yellow arrow) or via Ballard Ave (marked by the red arrow). The entrance to the building is located off the driveway on the side of the building.